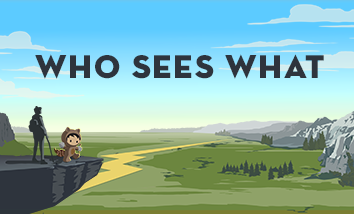 Salesforce is proud to present the freshly updated and Lightning-ized Who Sees What – Lightning Experience video series. 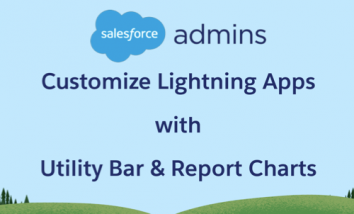 Fully re-filmed in Lightning Experience, you’ll have no problem getting up to speed and refining your org’s data security like the rock star admin you are. The popular Who Sees What video series addresses common questions that you might have about roles, profiles, and data visibility. This series is a must watch if you want to learn how all the security settings work together to provide access to the objects and records in your Salesforce org. While walking you through the makeup of an org you see how to set up, create, and configure the visibility and data access settings. Grant users access rights based on login IP ranges and hours. Watch Who Sees What Video: Organization Access to learn more. Control user access with custom profiles. Watch Who Sees What Video: Object Access to learn more. Use sharing settings to determine access to records owned by other users. Watch Who Sees What Video: Org-Wide Defaults to learn more. Restrict field access on a profile-by-profile basis. Watch Who Sees What Video: Field Level Security to learn more. Use role hierarchy to give users visibility to the records of those below them in the org hierarchy. Watch Who Sees What Video: Record Access via Roles to learn more. Grant record access to users in differing roles, public groups, and territories. Watch Who Sees What Video: Record Access via Sharing Rules to learn more. 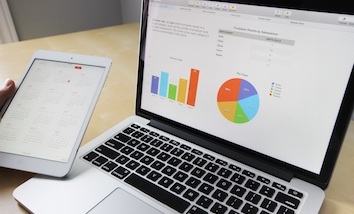 Use record types to organize and gather data for the same object in different ways. Watch Who Sees What Video: Record Types to learn more. Create and assign permission sets to extend user access and permissions. Watch Who Sees What Video: Permission Sets to learn more. After making your way through the video series, head on over to the Data Security Trailhead Module to pick up a new badge. Visit our Help and Training Portal for any questions that come up. We have a few more “Who Sees What – Lightning Experience” videos up our sleeve, so keep your eyes peeled for future updates. 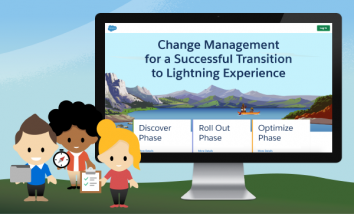 If you haven’t made the move to Lightning Experience, know that the Salesforce Classic version of the Who Sees What series is still here to help. A special shout-out to Salesforce technical writer Karen Churchill for her hard work and effort on the video series revamp. Without you, this project would have never been completed. Thank you! 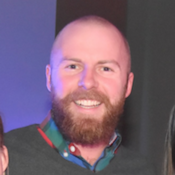 Matthew Carey is a technical writer for Salesforce Commerce Cloud. He lives in Salt Lake City, Utah, and if he’s not at the rink playing ice hockey, you can usually find him in a river fly-fishing or out riding his mountain bike. He’s also a huge fan of good food, great drinks, and having fun with friends.